Kit Summary • Detection method- Absorbance (OD = 560 nm). 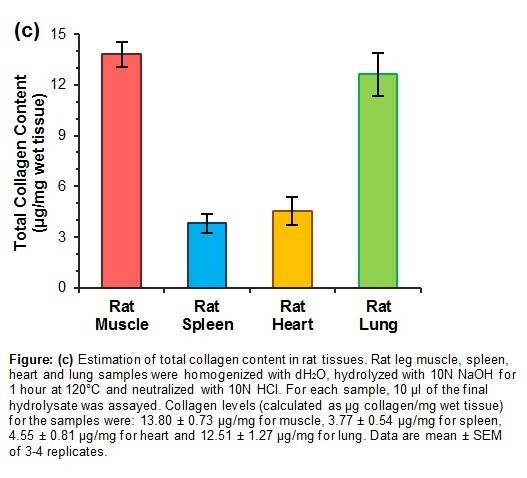 • Sample Types- Mammalian tissues, protein/peptide hydrolysates, serum, Urine • Applications- Measurement of collagen in various sample types. Detection Method Detection method- Absorbance (OD = 560 nm). 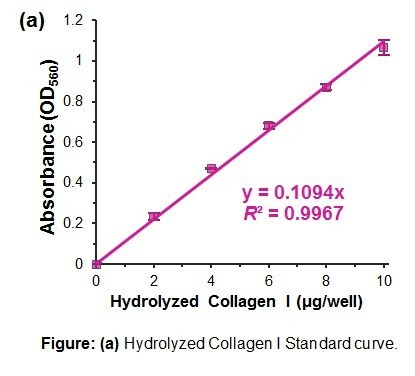 Applications Measurement of collagen in various sample types. 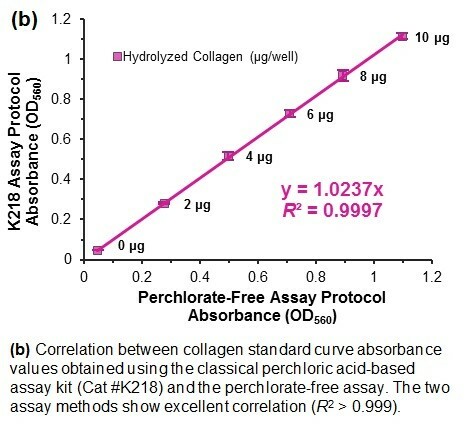 A simple, sensitive & easy colorimetric assay to quantitate total collagen levels. 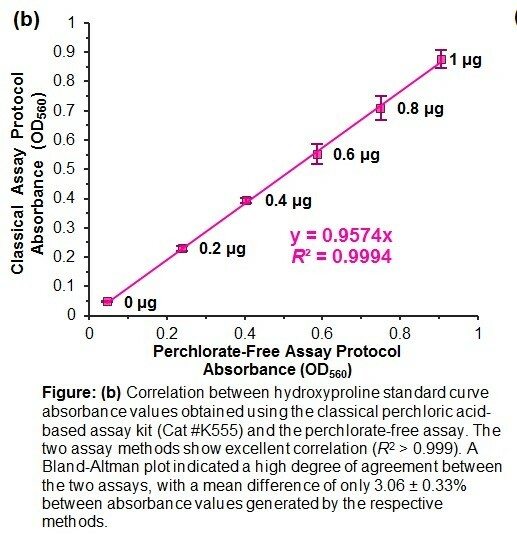 Applications The assay is useful over the range of 0.1-2 μg. 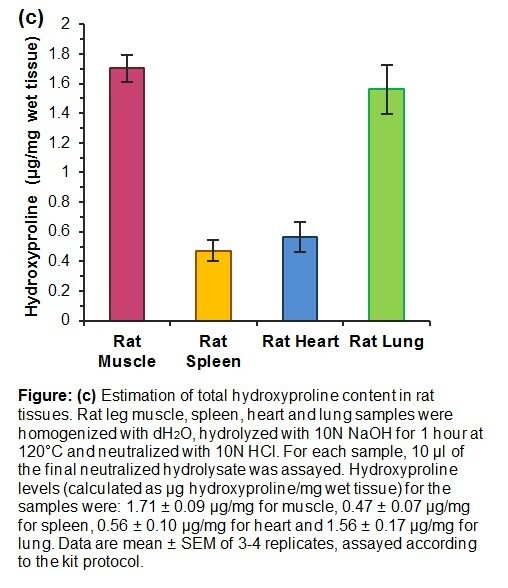 • Applications- The assay is useful over the range of 0.1-1 μg. 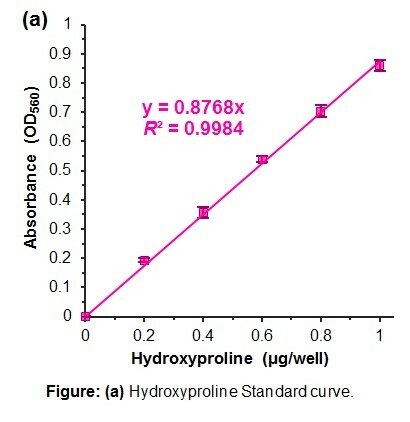 Detection Method Absorbance (OD = 560 nm).